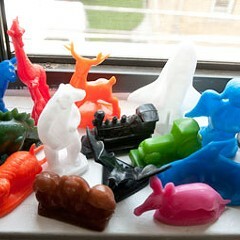 Like many visitors to Chicago's museums and zoos, Kirby Kerr, co-owner of the Rotofugi Gallery in Lincoln Park, and Joe Somers, head honcho at the product development company Squibbles Ink, were enchanted by the Mold-a-Rama vending machines, which produce plastic models of kangaroos and coal cars and dinosaurs that are sometimes more fun to look at than the originals. Four years ago, the pair had the brilliant inspiration to buy a vintage Mold-a-Rama machine and fix it up to feature an ever-changing assortment of original molds created by their artist pals. 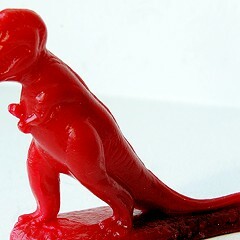 The rehab took several years longer than expected—most of the trouble was finding someone who could make a new mold—but by last August Roto-a-Matic was finally up and running, cranking out replicas of Helper Dragon, from California artist Tim Biskup, for six bucks a pop. Most of the time. "It's like having a classic car," says Whitney Kerr, Rotofugi's other owner. "It works well some of the time, but sometimes it doesn't." 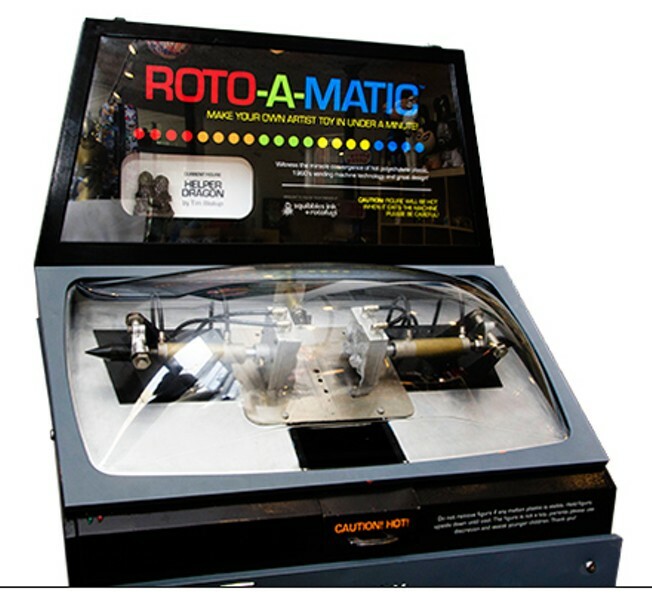 Helper Dragon changes color every month, based on the whims and color-mixing ability of the Roto-a-Matic team. But his days are numbered. Next month, a new mold is scheduled to be installed, though Kerr declines to say what it is or who is making it. "It took us four years to get the first one," she laughs. "This one won't take as long."